experience to the Kentucky Derby® and Kentucky Oaks®! To reserve your Derby Experiences Official Ticket Package, or to receive more information call 888.384.7088 or fill out the form below. Derby Experiences' concierge services ensure that our client's needs are also supported outside the gates of Churchill Downs®, creating the ultimate Derby Experience for your party. Your ONLY way to get 2-day tickets with official trackside experiences, optional accomodations, and to/from track transportation. Find the package that’s perfect for you and your group. 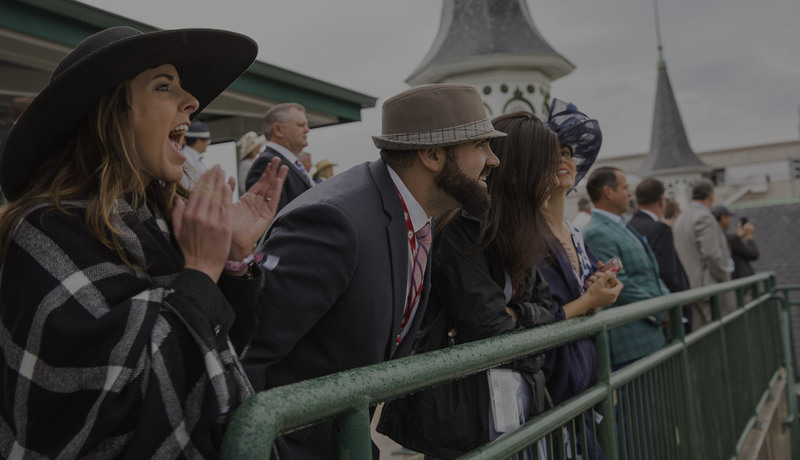 From parties, to tours, to wagering 101, you can find everything you need to know for your complete Kentucky Derby experience. This page answers all your lingering questions!